Updated (Sept 28, 2015) - The latest game patch (version 1.11.64.1020) has introduced a change to the objects altered by this mod. The "No Script" version of the mod has been updated to include this change but should still be compatible with older versions of the game. The version of the mod which uses the script to modify the game objects does not require updating. If there are one or two sims in the household, a random choice is made to cook either a single plate or a medium (4 plate) meal. If there are three or more sims in the household, either a medium (4 plate) or large (8 plate) meal will be prepared. Enables more of the gourmet meals to be prepared autonomously (using the same rules as above). Sims will never prepare just a snack for a meal unless they live alone. As a safety feature in case no older sims are present, children can always prepare a snack but will choose to eat an existing proper meal if one is available. There are two version of the mod. The normal version uses a script to add the new interactions for the fridge objects. As some simmers prefer to avoid scripts, a scriptless (package only) version is also available, however this is more likely to conflict with existing or future mods. For either version, just unzip the file you download into your mods folder. 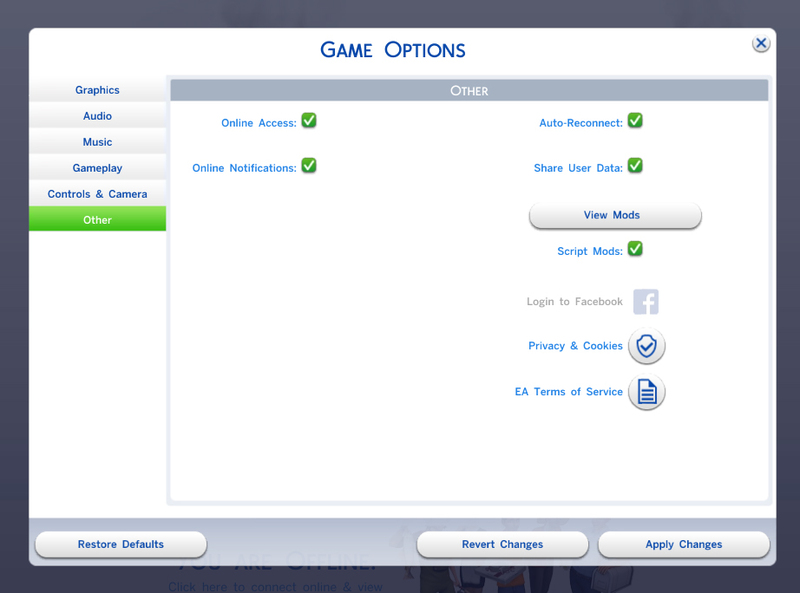 Inside the zip you should find either a package and ts4script file (normal version) or just a package (scriptless version) in your mods folder. If you do use the scripted version of the mod, you must make sure that script mods are enabled in your game options. The mod was written and tested on the latest game patch level (August 6 - 1.10.57.1020), but should work on any recent version of the game. This mod may cause conflicts with other mods which change the meal preparation autonomy. The scriptless version will conflict with any mods that alter the fridge objects. Download and install only one of the two versions. Use of the normal scripted version of the mod is suggested, but you may use the scriptless version if you do not like script mods.